NRIs need to give serious thought on estate planning, to ensure that the wealth they have accumulated through a lifetime’s hard work gets transferred smoothly to their heirs. The challenges in estate planning are greater for NRIs since they are likely to have assets in more than one geographic locations: India and the country of their residence. It is a process of putting a plan to control, manage, and devolve your assets in a systematic manner. A sound estate plan ensures that your family and/or friends receive their inheritance from you in a tax efficient manner, while protecting it from various risks and optimising various indirect costs. Most people in India, whether NRI or Indian resident, are not aware of the importance of estate planning and therefore do not invest their time in it. Most of the common reasons for procrastination are, they do not want to think of death, they think their assets are not large enough, they have nomination in the bank accounts and investments, their family is closely knit, their spouse will automatically get all the assets, they have a Will which is sufficient, are ignorant about succession laws and so on. If you are a NRI looking for the appropriate advisory services in estate planning, then please contact us and we will get back to you as soon as possible. The way in which you, a NRI, divide your estate and inheritance is highly important for the security of your family’s financial future. Inheritance planning is more than having a will in place. 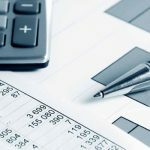 It is a customised plan that takes into consideration all important parameters – your assets in India, your financial position, your wish how the /assets should be divided, timing of inheritance, control over usage of assets beyond your lifetime, inheritance tax or estate duty if applicable and your personal risks. It is a plan that ensures your assets are effectively structured to be passed on to your ‘next of kin’. Inheritance Tax: It is a tax that is levied on inter generation transfer of wealth. In some countries it is called 'inheritance tax' while in others it is known as 'estate duty'. 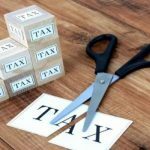 The only difference between inheritance tax and estate duty is that the former is levied on the person inheriting the assets while estate duty is levied on the estate of the deceased person before the assets are transferred to the inheritors. We assist you by guiding you through the whole planning procedure, taking into consideration all the important things for you and your beneficiary’s peace of mind. If you are a NRI who needs help in their inheritance planning in India, we are here to assist you and guide you every step of the way. There is no set formula through which this can be done as Succession Planning is both an art and a science at the same time. Art is how to handle the inter-family dynamics, align the aspirations of the next generation and create a balance between the current generation and the next generation. It is a science as it is important how to approach this subject systematically and at the same time ensure that it is legally sound and tax efficient. How the shareholding of different entities will be distributed among the beneficiaries? How will the management control be transferred and to whom? How will the future board representation be? How the board members will be chosen? How would the profits from the business be split? Would there be special incentives for family members running the business? What will be the criterion to be part of management of the company – by merit or by birth? How will the new capital and business decisions be taken for new and existing businesses? What will be the rights of spouses of children? What will be the Brand policies? What will be the exit policy for the family members wanting to quit family business? Is there any valuation strategy for exit? It is very important for a entrepreneur or Businessman to have succession planning in place to prevent all the risk factors that come into play from the time you step down to the time your successor takes the stand. Legacy planning on the other hand is a mix of how the business will look like beyond your lifetime and how you would be known as. Legacy Planning is more than just the Succession Planning and transfer of wealth to the next generation. It also involves how the social causes that are close to your heart are funded and taken care of after you are no more. If you are looking for advisory on Succession Planning, then we are here for you. Please contact us and we will be there to assist you. A Will is a written document of the statement of the intent of the owner of assets showcasing how his/her assets should be distributed after their lifetime. The most important point to keep in mind for NRIs is to write a will. For NRIs, it is advisable to write a separate will for their assets in India and another for assets in their country of residence. In the absence of a Will, the assets get distributed among heirs according to the succession laws of the country. There are certain intricate steps that you need to go through in the drafting of your Will, for example, choosing who your beneficiary is, deciding how your financial assets and your estate in India is to be divided amongst your family, and so on. If you are a NRI who wants to get a Will drafted for your assets in India, and needs assistance, contact us and we will get back to you as soon as we can. A Trust is created when the Settlor (author) of the Trust indicates, by words or acts, his intention to create a Trust. The settlor wishes are captured in a document called Trust Deed and once assets are settled in the Trust they become Trust Property (ies). A Trust is an outcome of an obligation annexed to the property. A Trust Deed is a legal document written on the instructions of the Settlor (owner of the Assets). 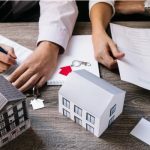 The Trust Deed contains details on who the beneficiaries are, how and when they will get the income or the corpus (capital), and instructions on how the assets should be managed. Private/ Family Trusts are created to meet different objectives and one can create more than one Trust if need be. Why should you have trusts? Ring Fencing of assets from various risks. Maintaining confidentiality of financial transactions. Distribution of Wealth in a staggered manner or on specific events. If you are a NRI who want to form or manage a Private/Business/Charitable trust in India, then get in touch with us and we will help you. In a Will, after the death of the Testator, the Executor obtains the Probate or transfers the assets to the beneficiaries mentioned in the Will. The Execution can at best be a tedious job as one has to obtain death certificate and in certain cases obtain a Probate. After this Executor of the Will has to approach financial institutions and Sub-registrar office or municipal office for transfer of title of assets from deceased person’s name to the name of the beneficiaries. If you are NRI or have assets in certain Jurisdictions in India Probate may be compulsory. A Probate is a verified copy of a Will that is handed to the Will executor as a certificate. At the event of the testator’s death, the Executor of the Will approaches a competent court and submits documents for obtaining a Probate. The court after its due diligence and a process confirms that the Will submitted to it is a valid Will and the assets can be distributed as per the Will. The time taken and the cost involved in obtaining a Probate varies from one state to another state in India. We assist you with Will Execution by acting as your Co-Executors or administrator for the Will. 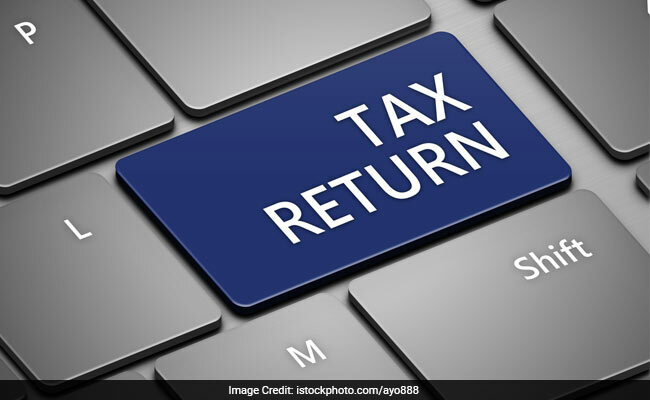 If you are a NRI who needs assistance in navigating through the Indian legal system for a smooth transfer of assets to the legal beneficiary’s name, then contact us and we will get in touch with you soon.